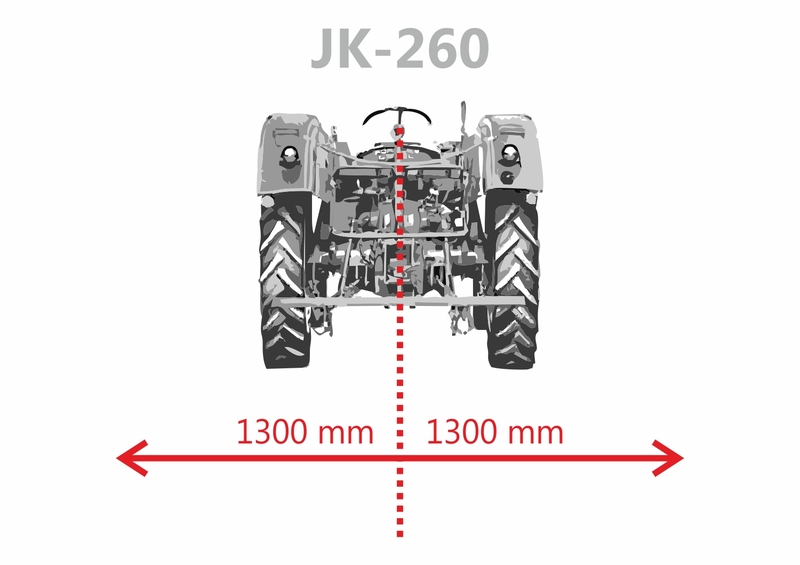 The especially robust construction of the mulch mower Jansen JK-260 makes it stand out. It has a special reinforced angular gearbox and is outstanding in its operation. This flail mower with it´s professional quality is designed for commercial purposes. The flail mower has a mowing width of 259 cm and is driven using a P.T.O, included as part of the delivery. The Jansen JK-260 mulching mower additionally has a trailing roller and a freewheel gearbox. The suspended chains at the front of the mower unit prevent stones escaping. The 112 specially hardened, y-blades, shred clippings to a minimum size. Even very high grass, bushy or straw-like clippings are no problem for this mower! The mower unit is hung using the three point linkage of your tractor (from Cat. II, with slight adaptation also Cat. I). Your tractor should have at least 80 HP. Due to the Due to the open rear bonnet maintenance work or changing hammer blades will be facilitated. Please be informed that the bonnet have to be closed while operating. The mower unit is delivered in a robust steal frame. The gearbox is dry and must be filled with oil (80W90, approx. 5 litre) prior to use. 2 - 3 hours should be allowed for final assembly and commissioning. Of course, delivery includes detailed operating instructions. However, should you require any help, please feel free to call us.